The Ideal Young Gardeners of the Year competition sees students from six of the country’s top horticultural colleges design and build show gardens for urban spaces – in just one week! 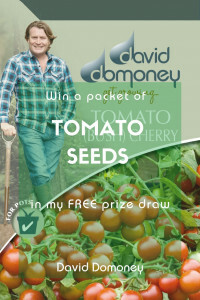 This year’s competition launches on 18 March at the Ideal Home Show in Olympia, London. The gardens will be judged by a panel of industry experts, and the creators of the winning garden will be crowned 2016’s Young Gardeners of the Year! 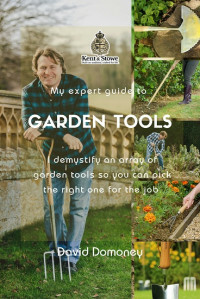 Find out more about the Young Gardeners competition. I can now reveal the final designs for this year’s stunning show gardens. Get a sneak peek of the designs and read about the students’ plants, design styles and inspirations. 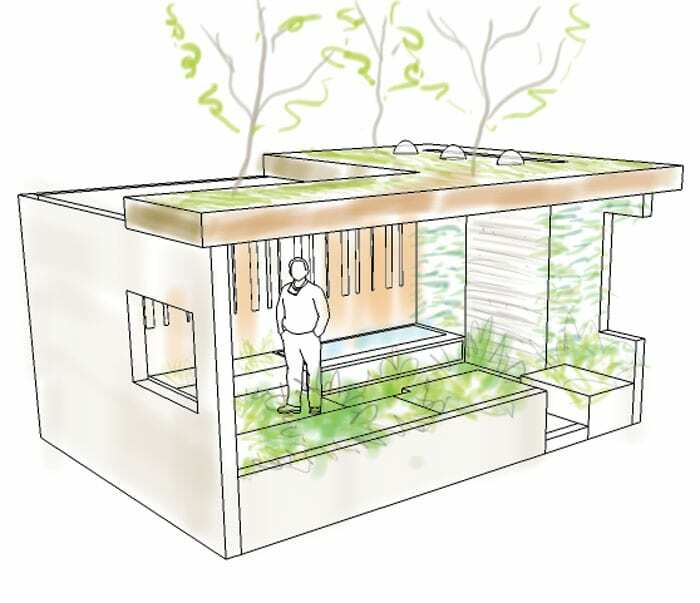 Students from Askham Bryan College are designing a compact urban garden with a contemporary woodland theme. They will use rustic timber fencing and traditional stone walling, as well as a gentle water rill. Wood is a major motif in the garden. The fencing is made from a mixture of tree species which still bear their bark. This will have the names of the trees carved into it to help people identify them. The decking is also made from sustainable sources and treated with natural preservatives to make it environmentally friendly. The garden will feature varied planting with woodland varieties and pastel shades as a subtle counterpoint. Evergreen structure comes from the sarcococca (winter box), which has a heady perfume. This will be complemented by a tapestry of woodland plants including hellebores and muscari. Read more about the Askham Bryan College garden design. Students from Capel Manor college will create a yoga retreat garden filled with lush greenery and secluded spots. The garden is designed to help people let go of daily stresses and transform their mind and wellbeing. The planting is dense and makes good use of rich foliage including tree ferns and yellow-stemmed bamboo. The garden also showcases unusual plants to teach visitors about tropical shrubs and tillandsia, or air plants. The greenery is offset by rich orange tones from colourful tulips and rusty corten steel accents used in the beds and planters. 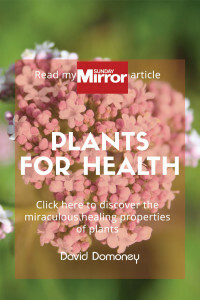 Finally, the garden includes a moving water rill to create a calming atmosphere and a selection of plants and herbs grown for health and wellbeing benefits. Read more about the Capel Manor College garden design. 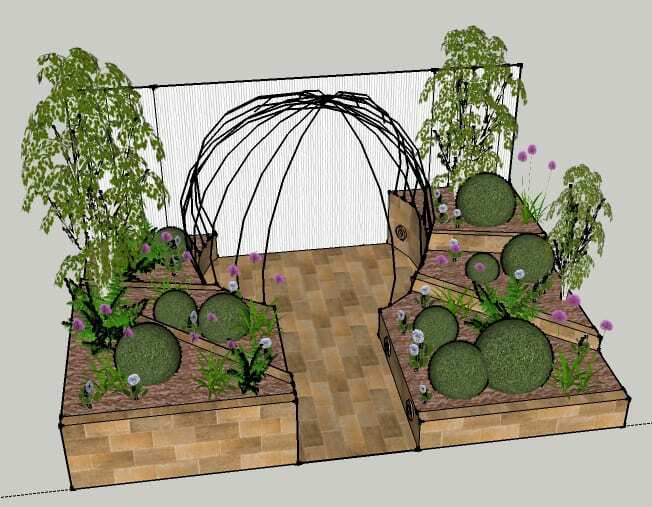 Students from Chichester College will create a geometric style garden which is designed to flow across various levels. It has a geometric shapes including a central dome, a spiral patio, octagonal paving and spherical shaped plants. The planting is structured with evergreen plants clipped into spheres, including cryptomeria, laurus nobilis (bay trees) and Hebe rakaiensis. 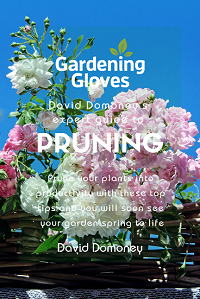 These will be complemented by a mixture of white and purple flowering plants. Students have also chosen Betula papyrifera (birch trees) to add tall, thin height to the planting. The garden is also themed around the number three because the plot was named ‘gamma’, the third letter of the Greek alphabet. So the design sees triple elements, including raised beds and rebar fencing arranged in groups of three. Read more about the Chichester College garden design. Students from Pershore College are planning a garden inspired by the Fibonacci sequence and the ‘curve of life’. These mathematical patterns have long been used in art, science and architecture. The garden entrance goes under a pergola inspired by leaf structures which casts a striking shadow onto the ground. It steps down into a secluded area surrounded by repurposed industrial materials like glass and steel. The walls and planters will be clad with rusted corten steel which has a rich orange hue. The students have chosen plants which have intricate leaf patterns such as ferns and fatsia japonica. They will also create a spiral feature wall using sempervivums, which demonstrate the ‘curve of life’ with their leaf structure. The garden also aims to teach visitors about plants by using QR codes on the plant labels. Visitors can scan the codes with their smartphones and visit an online catalogue of all the plants used. Read more about the Pershore College garden design. The gardens of Marrakech inspired the students from Shuttleworth College. Moroccan colours and styles infuse the entire garden, including bold colours, tiled furnishings and lamps. The design is based on a Persian Chahar Bagh style where the space is divided into four parts by pebbles and water rills. The garden also has an outdoor eating area with a bar, wood burner and a tiled dining table which has an upcycled copper drinks cooler set into it. The planting showcases tropical and Mediterranean varieties like yucca, agave, trachycarpus and hardy musa (banana plant). Students will also include olive trees and herbal planters including Moroccan mint, to make tasty mint tea! The garden is entirely ‘off-grid’, using solar panels to power the lighting features. It also showcases Moroccan arts and crafts. Read more about the Shuttleworth College garden design. 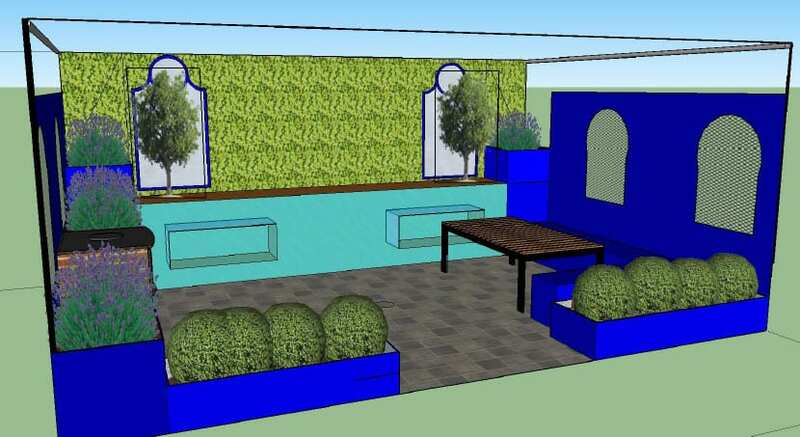 Students from Writtle College will create a basement garden retreat. The roof will be covered in meadow grass to support wildlife and feature two stunning magnolia trees. Natural light will enter the basement from a light well, and low-energy LED lights will illuminate the space and highlight the water feature. The open courtyard has staggered paving with sedum matting, ferns and thyme planted in the spaces to help absorb rainwater. The planting includes large, colourful shrubs like hebe, leucothoe and rhododendron. This garden is also exploring a new technique to create energy from plants. A green wall will extract electrons from the water-nutrient transfer in plant roots via a carbon fibre mat in the planting material. This is then converted into electricity to power lights and features. 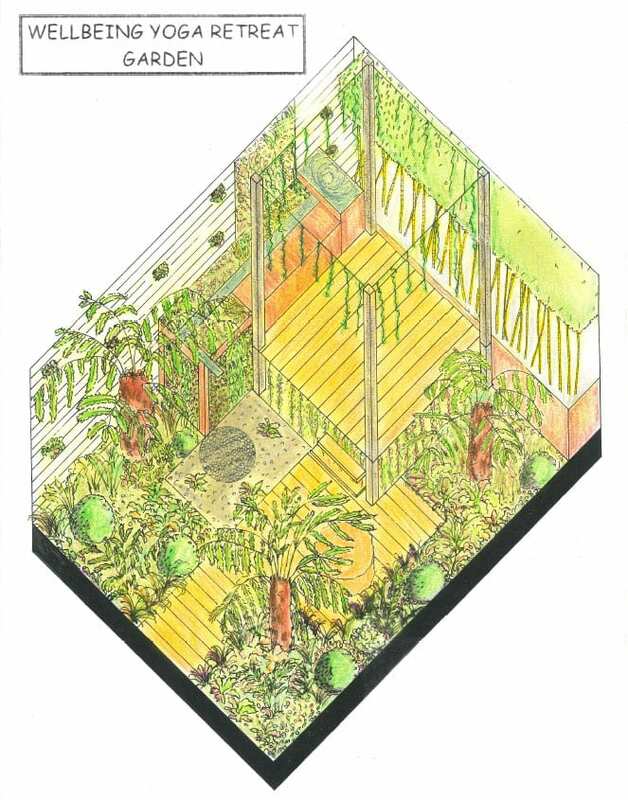 Read more about the Writtle College garden design. Come and see the show gardens at the Ideal Home Show at Olympia, London from 18 March – 3 April 2016. You can also vote for your favourite garden to win the coveted People’s Choice Award. Look out for the special tokens near the show gardens. Is the leaf design pergola covering from the Pershore design available to buy or was it made bespoke? Hi Rich, afraid the students made it bespoke.